I have recently been thinking about how I define comfort. Around our Thanksgiving table, my family and I ate entirely too much, laughed loudly, and simply enjoyed one another’s company. I smile as I remember my daughter playing board games with her cousins. I took a moment to sit back in in my chair, a hot cup of coffee in my hand, and a decadent piece of pumpkin pie in front of me. This is comfort. I also remember the regret I felt having worn jeans instead of stretchy pants (another kind of comfort to consider during holiday season). This time of year calls for reassuring warmth, and seeking to define comfort with our choices. Short days and long, chilly nights will end, but sometimes the wait seems far too long. We need to pamper ourselves and do our best to make it through to witness the buds of spring emerge. Shaking off the dreariness of winter is easier if you find comfort along the way. This decadently chic shawl will aid in that effort. 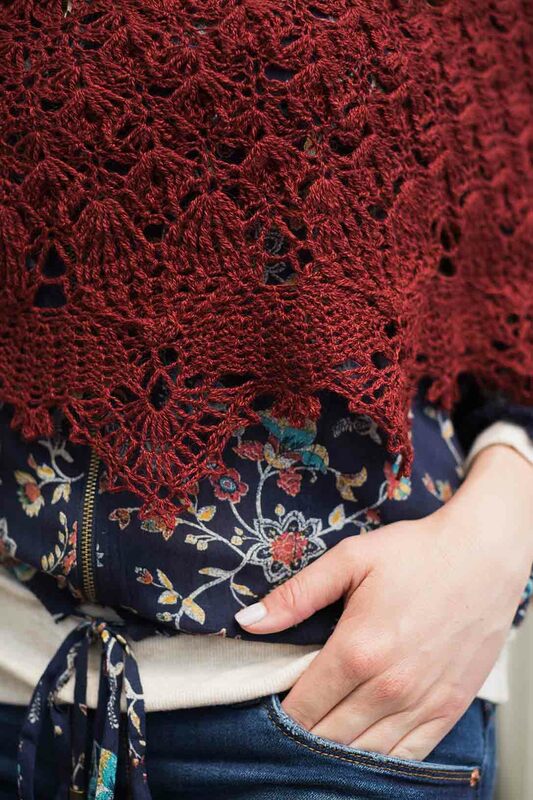 Wrap yourself in beauty and luxurious warmth with the Fall River Shawl, which you are easily set up to make with the full kit. This lacy mesh garment has staggered diamond shapes and dense post stitches. The edging plays with floral clusters that peak out between airy lace triangular scallops. 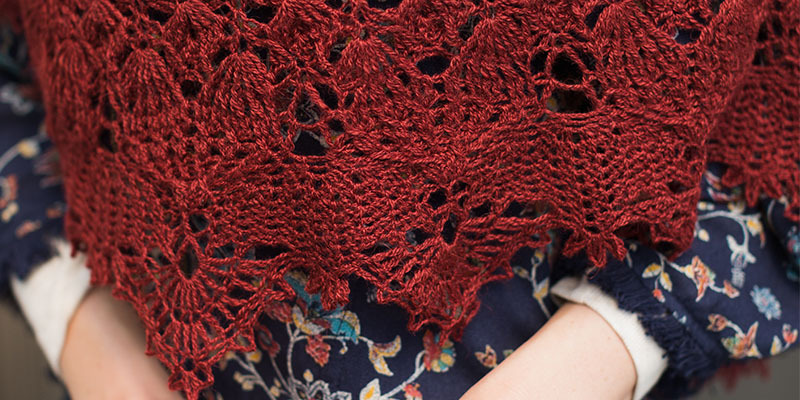 The kit comes with Road to China Lace Yarn in Ruby or Sapphire. 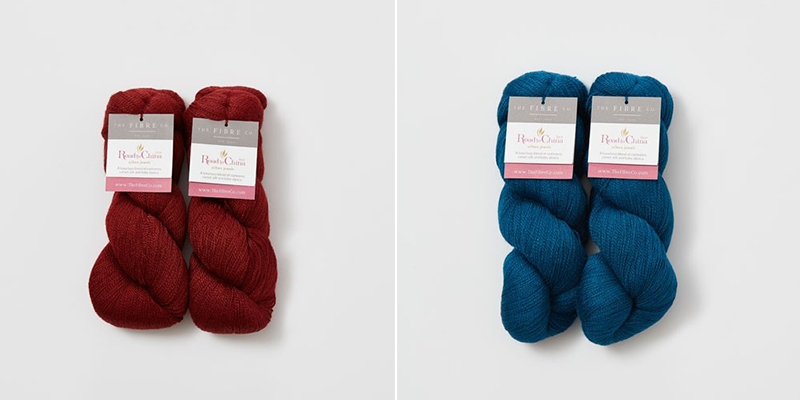 This luxurious yarn is 65% alpaca, 15% silk, 10% camel, and 10% cashmere. The kit also includes a copy of Interweave Crochet Fall 2017, which includes the shawl pattern. 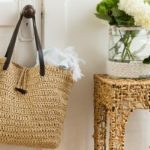 The full payoff of course will be wrapping yourself up in the finished object, which promises a rich drape with this refined yarn. But imagine the boost to your making experience as you handle the skein. The yarn is not only a warm experience, it’s a tactile one as well. 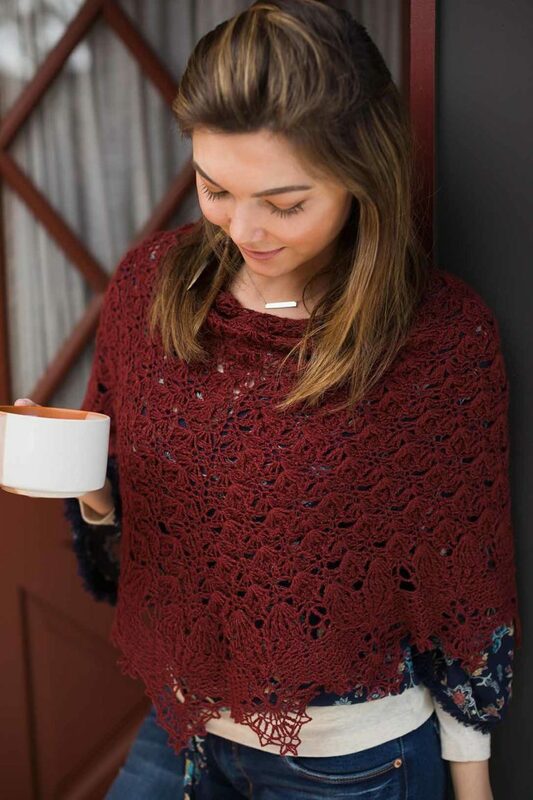 The blend will have you cozying up to this shawl before it is even completed, finding the comfort you need in the practice of crochet. And that is as it should be.